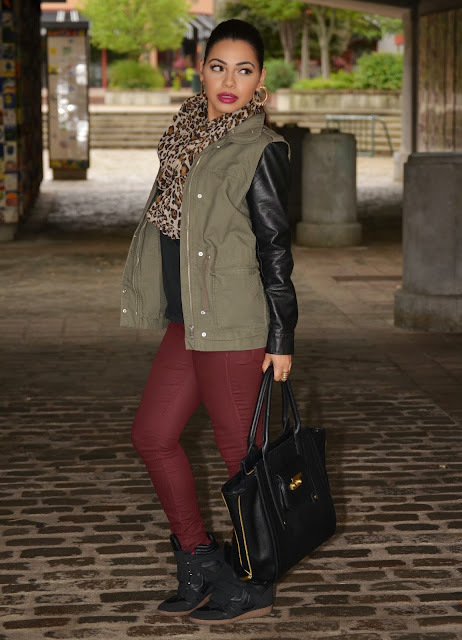 I have been dressing really casual lately and I love it. lol. Honestly who really wears high heels all the time. Not me! Especially when it's a day of running errands. What I am loving the most right now in my closet are my sneaker wedges. My first pair were from Steve Madden in a taupe color. So now a year later I found a black pair that I love. 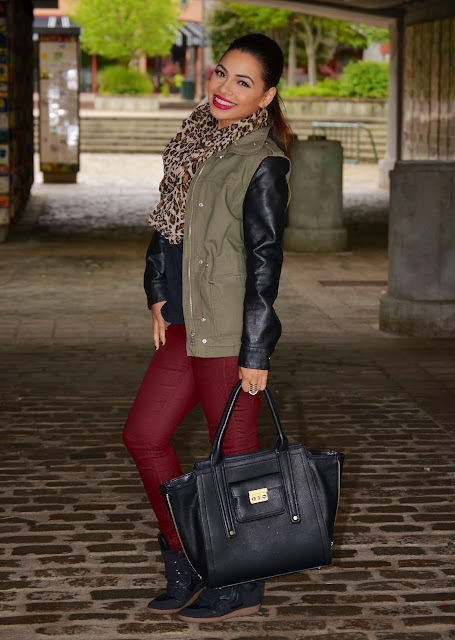 I paired the look with my fall favorite jacket and my Phillip Lim bag. Love the color combo of the burgundy with the olive green! 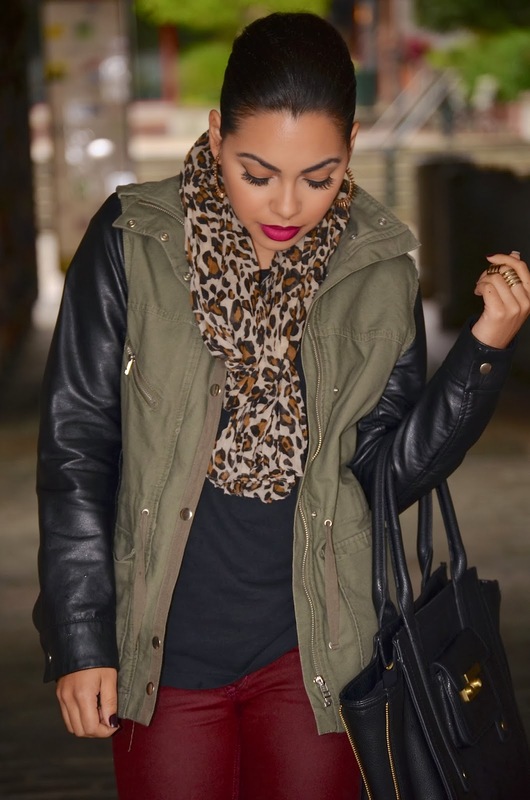 The leather details really transition the outfit into fall...and I love the pop of leopard!